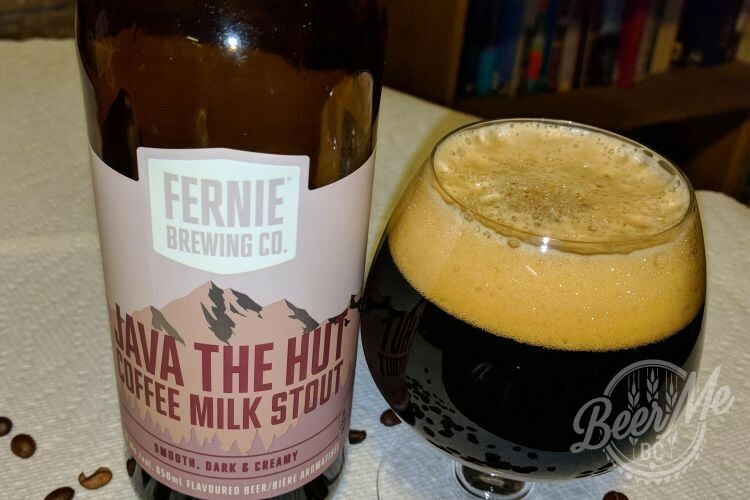 Fernie’s Java the Hut debuted in 2015, and became a seasonal staple. 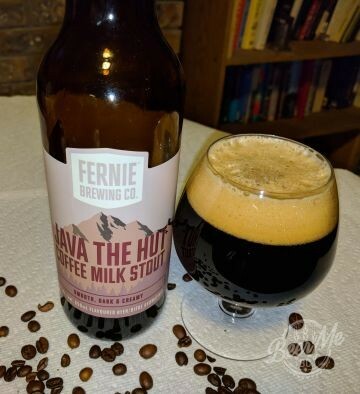 It’s a coffee stout with a twist: lactose added to create a ‘Coffee Milk Stout’. Is it a double-double in a pint glass? It’s about time we reviewed this to find out. This beer threw a nice head and left substantial lacing in our glass. Colour is extremely dark brown to the point of black. It’s full-bodied with good mouthfeel. 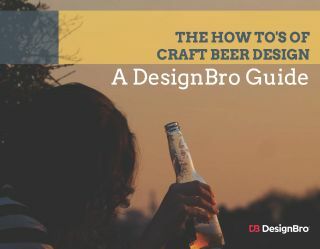 The beer is very drinkable; the coffee flavour is mellow and not overwhelming. Those looking for a strong espresso-like experience may prefer other coffee-focussed stouts, but this blend is rich and flavourful as it is. In a way, it is like a nice latte to enjoy before bed that won’t keep you up. The beer is very drinkable; the coffee flavour is mellow and not overwhelming. Rich and flavourful, it’s like a nice latte to enjoy before bed that won’t keep you up.